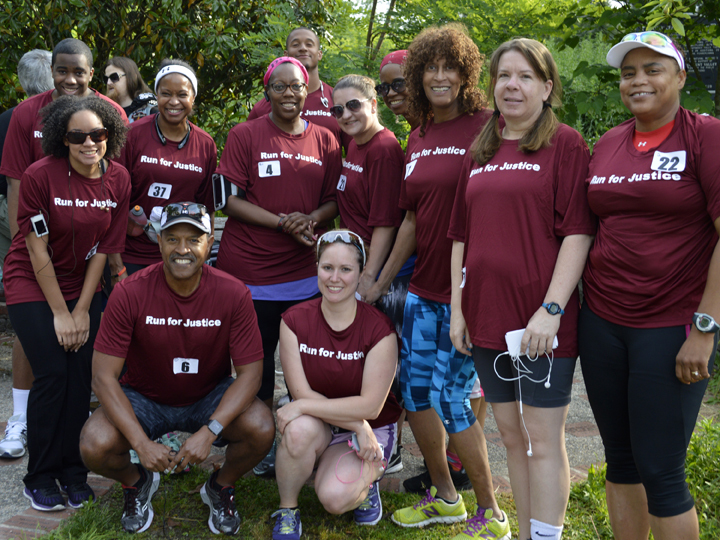 Join the Pro Bono Resource Center of Maryland (PBRC) in helping to provide access to justice for those in need through the 2018 Run for Justice 5K on Saturday, June 9, at Meadowood Regional Park in Lutherville, Baltimore County. The funds raised through the annual 5K run (or walk) will help PBRC train more volunteers to better serve the legal needs of low-income Marylanders. Register for the run/walk today, or join the fundraising campaign. Those who register by May 25 will also receive a Run for Justice t-shirt. For more information, contact Linzey Powers, PBRC Development Director, or call (443) 703-3055.